Our tour hosts are crucial to your vacation. They are with you from breakfast through dinner, introduce you to the food and drink experiences in your tour location, and serve as your advisor, guide, and often friend. All our guides are experienced in both the regions in which they guide and the food or drink of that tour. However, we hire our guides as much or more for their personality as we do for their credentials. See below to read about your Taste Vacations staff and tour hosts. 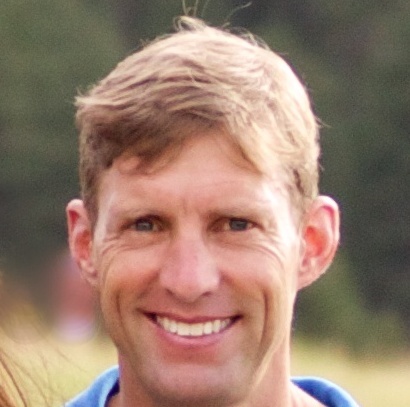 Allan Wright is the owner and president of Taste Vacations and Zephyr Adentures and has been running tours since 1997 when Zephyr Adventures first created the inline skating tour industry. 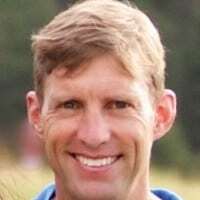 Allan is a native of Seattle, resides in Colorado, and has lived in ten cities in four countries on three continents during his many traveling years. 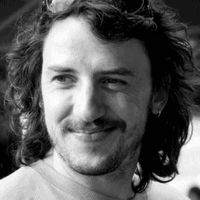 He runs his own food and drink website and the local wine appreciation group in his hometown. When asked about his life dreams, Allan will tell you, “To have a significant impact on other people and the world and to have fun doing it.” Allan is a bit of an idealist. Giovanni Ramaccioni is our Italian specialist and a man of many talents. 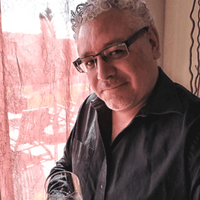 Not only is he an expert on the food and wine of his country, he is licensed tour guide and can expound on history, culture, or any other subject you choose about Italy. 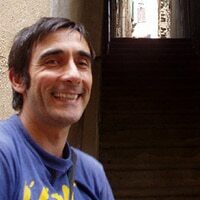 He has guided tours throughout Italy for many years and has been our Italian partner for almost a decade. Giovanni and his college sweetheart Michela live in Tuscany with their two kids. Jenny Siddall is a Brit who lives in Rioja (Spain) and has ten years experience guiding both active tours and those focused on food and wine. 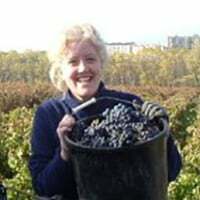 She has a masters degree in Viticulture and Oenology and has worked in several Spanish wineries. She is fluent in Spanish, Italian, and French and so you will might find her on any of our food or wine tours in Europe or even beyond. Jim McCammon is a semi-retired clergyman who, as he describes it, “has a passion for the beauty of wine”. He has become such a fan he volunteered to work at the busy “crush” time in a local winery in his home Sonoma County and spends his vacations traveling to wine festivals. You will be impressed with Jim’s ability to engage you on just about any subject you choose! Jim regularly runs our Sonoma Wine & Walking Tour. Lorena Gil is a native of the wine region of Mendoza, Argentina. 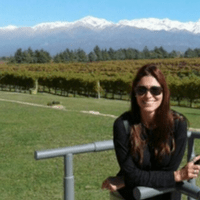 She has 20 years of experience working in a variety of different aspects of tourism including wineries, hotels, adventure tourism, and ski resorts. She is highly knowledgeable about not only her home country’s wine regions but the wine regions of Chile as well. She is passionate about sharing her knowledge and has been doing so as a wine tourism instructor for the past 10 years. “Wine and mountains are the spirit of my town and I love sharing this concept with people”. Luis Laciar was born and raised in Mendoza, Argentina, where he currently lives with his sweetheart Patricia. After his formal college education he lived abroad for 13 years (including a stint in the US) to further his informal education. The last five of those years, he entertained himself (and surely many others) by doing a solo bicycle trip through 52 countries and three continents. He has a gift for languages and can converse in many: French, Portuguese, English, and of course, Spanish! Luis is one of the happiest people we know and his enthusiasm for life is infectious – just try not to smile when you’re around him and you’ll find it is impossible. 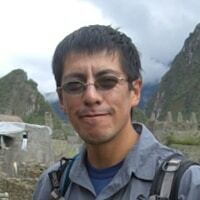 Although Santiago Castelo lives and works in Peru and is an expert on Peruvian culture and history, his knowledge spreads beyond his country’s borders. Having lived in the U.S. for a time, he is able to relate to North Americans and is comfortable conversing on any subject you choose. Born and raised in the Cusco area, Santiago has served as a guide for many years and will amaze you with everything he knows about the flora and fauna, the Incas and the Spanish, and of course the local food and drink. Santiago’s compassion for his people is easily apparent, as is his wickedly fun sense of humor! William is a wine educator in Washington state. He loves connecting with his guests and sharing his passion for and knowledge about wine. He hosts weekly educational wine and food tastings and has become rather fond of sparkling wines. 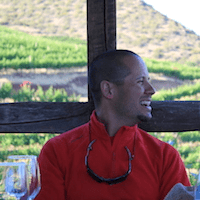 “I want my guests to have the best wine country experience possible.” He began working in the Washington wine industry in 2005 and began writing about wine in 2006. In 2016, he won the V edition of BlocDOCat Contest – for the best post on Catalan wine under Denomination of Origin made outside of Catalunya. He’s now working on improving his Spanish conversation skills for a return trip to Spain. 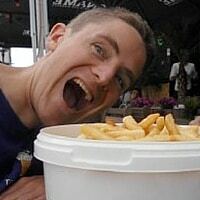 Yannick de Cocquéau lives in Ghent, Belgium. He’s adept at what he describes as a “Burgundian Lifestyle” which actually just means he enjoys life as much as possible and especially good food! His passion for beer takes an important place in this. Yannick works at the regional tourist organization and is in charge of everything related to beer tourism. In addition, he graduated as a beer sommelier, brews his own beers, conducts tasting sessions for groups, is active in different beer associations and is also part of the team behind the Zythos Beer Festival. As he loves his country and wants to share this love, beer appreciators can’t go wrong spending time with him in Belgium! As Yannick knows every Belgian brewer personally and the stories behind the breweries and their beers, he fits extremely well in the job of beer guide on our Belgian tours.